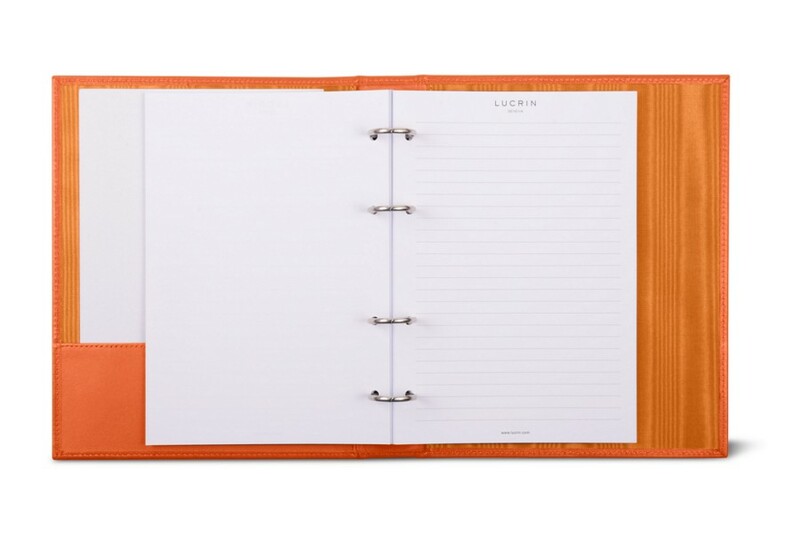 Equipped with 4 nickelled rings and a capacity of about 100 sheets, this A5 ring binder in leather is a favourite among professionals. 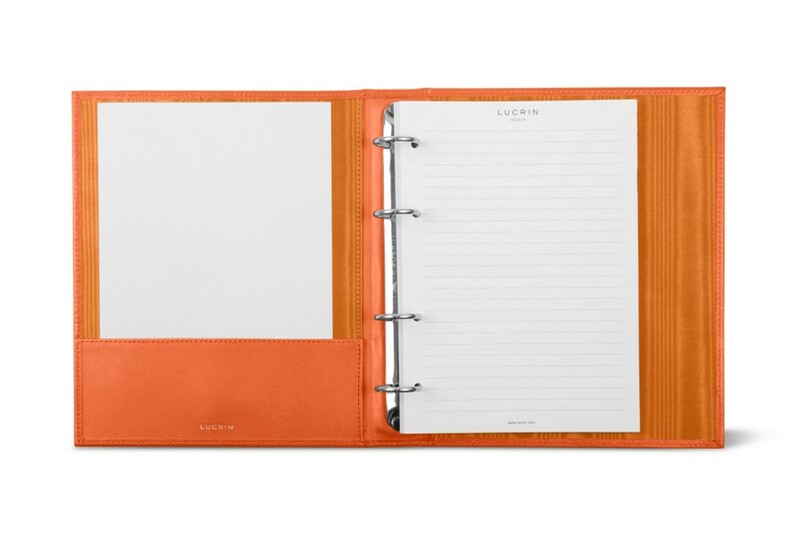 Sublime finishing and premium authentic leather turn this luxury office item into a must-have if you want proper organisation with a touch of elegance. 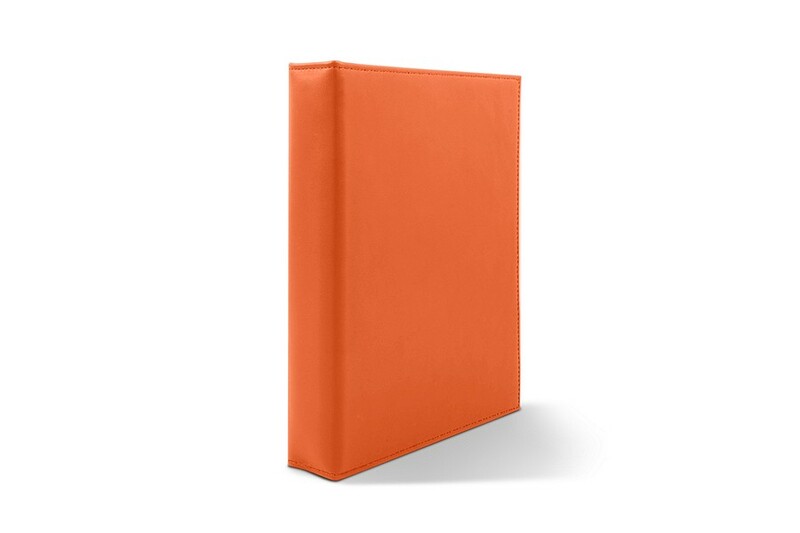 There is also a flat pocket (18 x 6.5 cm) on the left of this rigid office binder A5 - you can slide in some additional sheets or small documents.